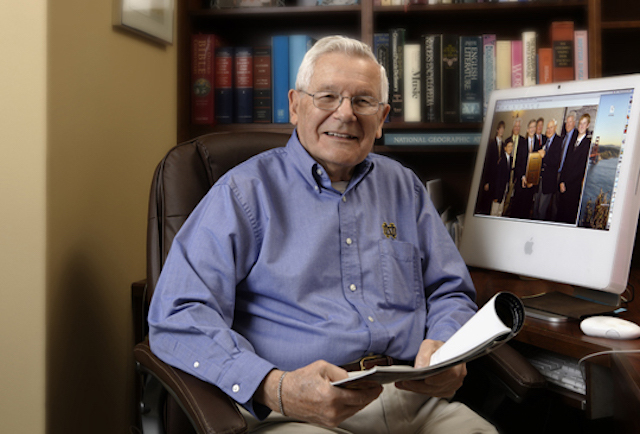 Ted Weber recently chose to designate TechnoServe as a beneficiary of his will. During Ted's career he served as the Executive Vice President for Administration at the McGraw Hill Companies. He currently resides in San Francisco and has been a supporter of TechnoServe for more than 30 years. I became aware of the organization through the late Alan Pifer, president of the Carnegie Corporation who at the time was a member of the board of McGraw Hill. I served on TechnoServe’s Board of Directors for several years during the 1980s and have also been a member of the Global Advisory Council since that time. For a brief period after I took early retirement, I discussed with [TechnoServe founder] Ed Bullard about becoming more actively involved since the Norwalk headquarters were near my home in Fairfield, Connecticut. Why did you choose to designate TehcnoServe as a beneficiary in your will? I have always been impressed with the TechnoServe philosophy of providing a “hand up” approach and with the impressive results it produces. As a result, while revising my will last year I added TechnoServe as a beneficiary. There is so much we take for granted ... obvious solutions to business problems for example. What we do not realize is that the solution is obvious only because of our background and our experience. The challenge is to effectively share that experience with millions to whom that solution is not yet obvious – to simply offer a helping hand where it is so badly needed.